Happy Thanksgiving everyone! Welcome to a special edition of The Weekly Links, your weekly source for the best '80s content on the web! 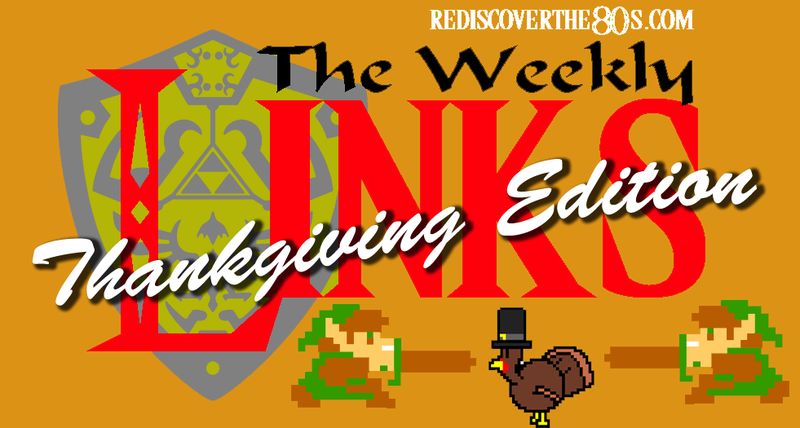 Instead of the usual Friday appearance, I decided to roll out the links on a silver platter for you on Turkey Day! Please be safe if you are traveling this weekend and also be mindful of the other crazy, sleep-deprived shoppers should you venture out on Black Friday. 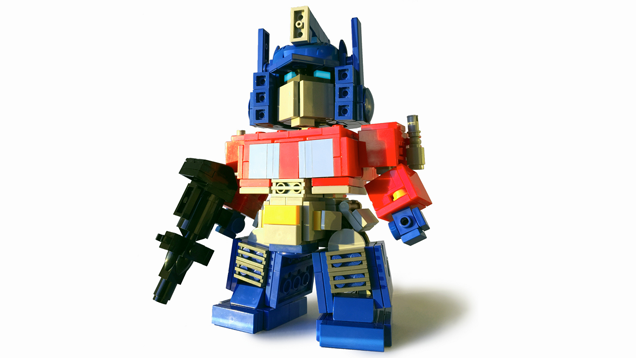 And speaking of Black Friday, come back tomorrow as I will be skipping the retail shopping craze and instead posting deals on as many '80s-related items I can find on Amazon and across the web! Today is Thanksgiving and I wanted to offer up the '80s Thanksgiving specials and videos I've found one more time for your viewing enjoyment. Earlier this week, I dug into the dark past of Black Friday to remember the Cabbage Patch Kid riots of 1983 and the craziness that was "Doll Mania." It's still insane to think the lengths at parents and collectors went to adopt one of those dolls. Also this past Saturday morning, I continued the Saturday Morning Cartoon Fix series with Kidd Video. This mid '80s series has sadly never been released to DVD, but thankfully, full episodes can still be rediscovered on YouTube! My favorite video this week came from Dancing With The Stars when they brought Super Mario and friends to life! I don't usually watch the show so when this warped into my Facebook feed, I was very pleased! Check it out! Have a great Turkey Day and enjoy the rest of the links! !